Face of Avon: Celebrity News! 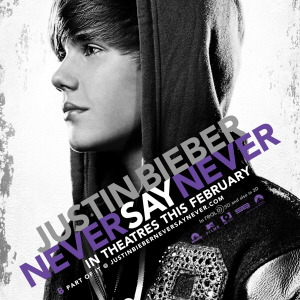 Check out the trailer for Justin Bieber’s upcoming 3D movie, Never Say Never. The movie opens February 11, 2011 and features his Madison Square Garden concert, home movies, and much more. Justin has also has signed a deal with Etoile Nation Beauty to create wristbands and dog tags infused with a scent called My World – also the title of his debut album. Bieber’s fragrance is scheduled to hit shelves at U.S. discount retailer Wal-Mart on November 26. The deal comes two weeks after Bieber announced plans to launch a nail polish line.